The Norwegian aluminum giant has been much more transparent about the attack and its impact -- the company has provided daily updates about its efforts to restore affected systems. The full extent of the impact is unclear in the case of Hexion and Momentive. 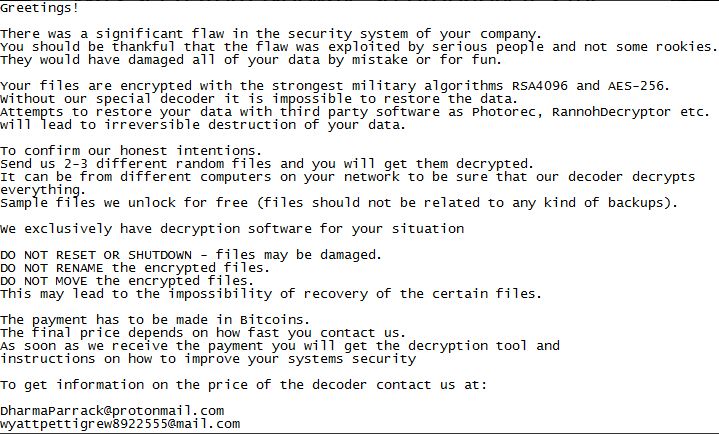 Did the ransomware encrypt important data? Do the companies have good backups from which they can restore compromised files without paying any ransom? Norsk Hydro said it did not plan on paying any money to the attackers. The company has been restoring systems using backups. One of the first known victims of LockerGoga was French engineering consultancy Altran Technologies, which got hit in January. Researchers say there have been dozens of victims, and Hexion and Momentive were apparently targeted before Hydro. Security expert Kevin Beaumont, who has been monitoring LockerGoga attacks, said -- based on the number of unique malware samples uploaded to VirusTotal -- that at least 8 organizations were hit. However, only four of them are currently known. Researchers at MalwareHunterTeam have identified one LockerGoga sample on VirusTotal that was uploaded on March 12, which suggests that it may have been the one used in the attack against Hexion and Momentive.